Cardinals extend Stephen Piscotty. 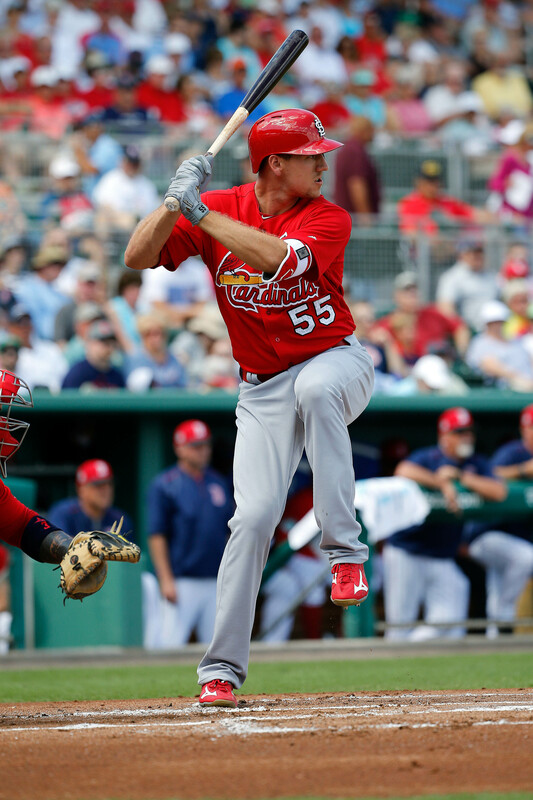 This week, the Cardinals announced they’d extended outfielder Stephen Piscotty for six years and a $33.5MM guarantee, with a club option and performance escalators that can bring the value of the deal to $50.5MM. It was the latest in a series of Cardinals extensions — the club also finalized its three-year extension for Yadier Molina this week. Blue Jays release Melvin Upton Jr. The Blue Jays parted ways with the 32-year-old Melvin Upton Jr. after determining he wouldn’t make their Opening Day roster. Upton batted .196/.261/.318 in 165 plate appearances with the Jays after they acquired him from the Padres last July. Braves sign Ryan Howard to minor-league deal. Ryan Howard, once one of the NL’s most feared sluggers, languished on the free-agent market all offseason and only reached a new deal this week, signing with the Braves. Of course, with Freddie Freeman in tow, the Braves’ plans for Howard are currently up in the air. Key pitchers suffer injuries. The first week of the season generally isn’t a big one for transactions, but there are frequently reports of new injuries. Two righties suffered significant injuries this week — Junior Guerra of the Brewers (who will miss six weeks or more with a strained calf) and Seth Lugo of the Mets (who has a slight UCL tear that he and his doctors will address with a platelet-rich plasma injection and rest). Also, Angels righty Garrett Richards also suffered a biceps strain, and lefty Rich Hill headed to the DL with a blister. Padres place three Rule 5 picks on active roster. The way the Padres set their Opening Day roster perhaps isn’t the most impactful story, but the team’s eye-opening decision to place three Rule 5 Draft picks (Miguel Diaz, Luis Torrens and Allen Cordoba) on their 25-man roster (along with four other players younger than 24) received its fair share of attention this week, both on the site and on Twitter. The team’s Opening Day payroll for its current players was just $33MM, less than it’s paying Upton, James Shields and Hector Olivera, who are no longer with the team.